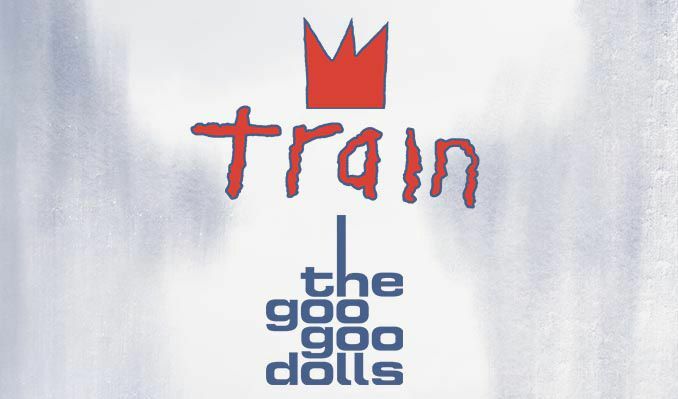 Over the course of 15 years, Train has made its mark on music history with their Grammy-Award-winning song "Drops of Jupiter (Tell Me)" and chart-topping singles "Meet Virginia" and "Calling All Angels." Since forming in San Francisco in 1994, the multi-platinum selling band has traveled a long, successful and sometimes arduous journey. Following their 2006 release, For Me, It's You, the band took a three-year hiatus, and in that time, Train has, for all intents and purposes, experienced an epiphany as a whole. Now, with their fifth album, Save Me San Francisco, Train has channeled their early days, revisiting the roots rock sound that has made the band such a tour de force and, in turn, the band is united stronger than ever before. "I think taking time away from each other really made the heart grow fonder," frontman Pat Monahan says of the break. "We realized how important we were to one another and taking a few years off helped us all really look at ourselves and what we could contribute to this band as opposed to what we weren't getting from the band." When looking back, Train credits the city ofSan Franciscowith cultivating the band's identity and foundation, so it's no wonder than the title track of the record would pay homage to the Bay Area metropolis the band holds so dear. "We owe all of our gratitude toSan Franciscobecause they embraced us back when, if they hadn't have, no one would have," Monahan explains. "Basically, this album is our way of paying tribute, giving thanks and also recognizing that we kind of needSan Franciscoto OK this band before anybody else does. Those were the best times of our lives even though we didn't know it living inSan Franciscoand struggling to make a band work." "Save Me San Francisco" is an autobiographical account of Train's beginnings, and embodies not only the spirit of the album, but also the soul of Train as a band. The song's lyrics take the listener through the three-piece's humble start in the mid-90s up through the time when Monahan, in particular, left the City by the Bay. "It's very related to my existence, but Jimmy, Scott and I have been through a lot together in the last 14-15 years, so it represents a lot to them, too, because they don't reside in San Francisco anymore, and we all miss it." Train spent April and May of 2009 holed up inLondon's Kensaltown Studios with producer Martin Terefe (KT Tunstall, Jason Mraz, James Morrison) with whom Monahan credits with helping the band "get back to the roots of the first record." "It was an incredibly refreshing environment that Martin created for the band," the singer says. "I'm really appreciative of his approach on things because he's really great at what he does. I had more fun making this record than ever in my life. I think I've made seven records and it was by far the most fun." Save Me San Francisco taps into Train's organic sound, recalling the blues and folk-infused rock that put the band on the map from the start. "It's pretty basic," Monahan explains of the record. "But really cool because there's super catchy riffs and melodies in it, which I think are way more important that any production trick or great-sounding vocal production. It's kind of us going backward so we can go forward." It is befitting that the focus of Save Me San Francisco is as uncomplicated as the record sounds. Monahan explored the age-old concept of love through his signature storytelling lyrics and the album, as he explains, is "about love in every way you can think about it." "There are certain songs that, instead of there being an intention, there was almost a theme," he says. "I think a lot of the way I wrote on this wasn't necessarily, Hey, this reminds me of a situation I was in,' but more how I see certain things being lived out in life, whether it's from myself or someone else's perspective." In this day and age, career artists are few and far between, and after a decade and a half of being a band, Train is ready to present one of their strongest efforts to date. Monahan recognizes the band's accomplishments, and, as he states so clearly, is more than grateful for the success they have experienced. However, for a band as consummate as Train is, Monahan still sets his goals high and hopes the band's fans will continue to come along for the ride. "I still remember what it's like to paint houses," he recalls. "I had fun because I loved the people that I worked with, but it's really not what I want to do not because it's a degrading job or anything, but because when I'm on stage I feel so much more connected to who I think I truly am. I just want to stay connected to the highest level myself can be and I think it comes through music. With that said, I'll never stop wanting to sell outMadisonSquareGarden, so my goals are very simple, but they're pretty big at the same time. I think Train fans who have watched the good and the bad, have been a part of all of it and have loved some of the music and not liked some of the music, are really going to like this record a lot -- I think, much more than they have in years."